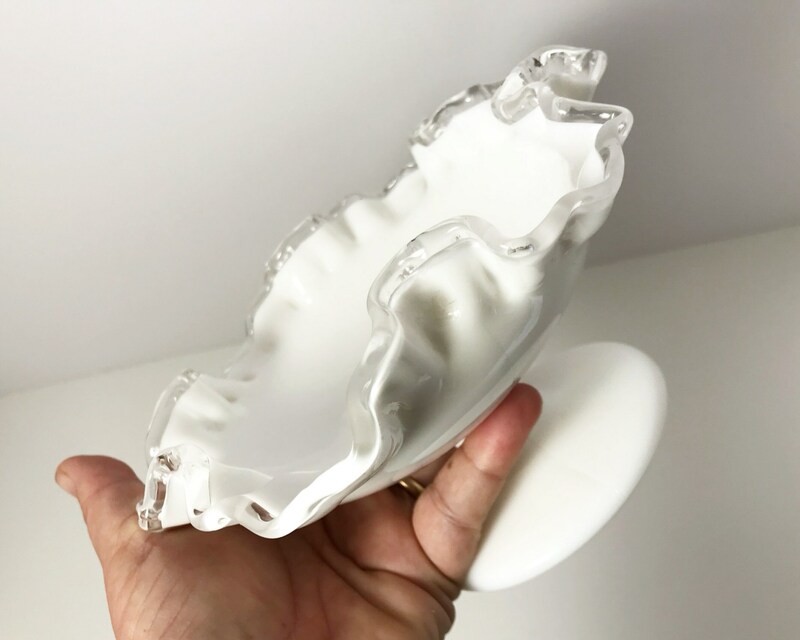 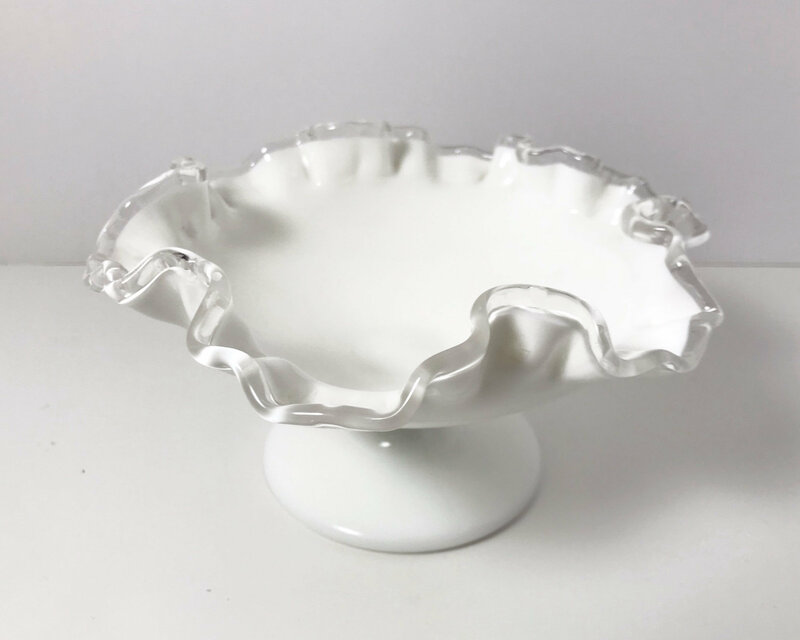 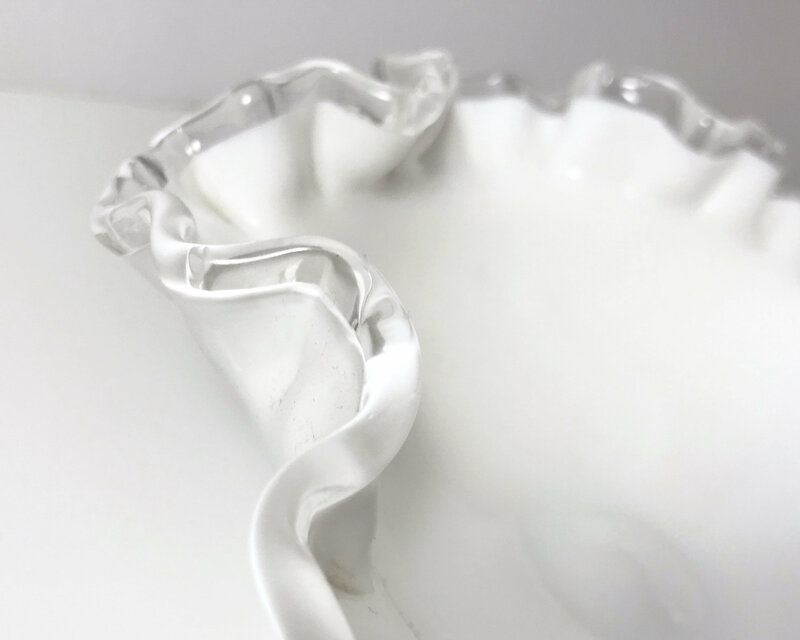 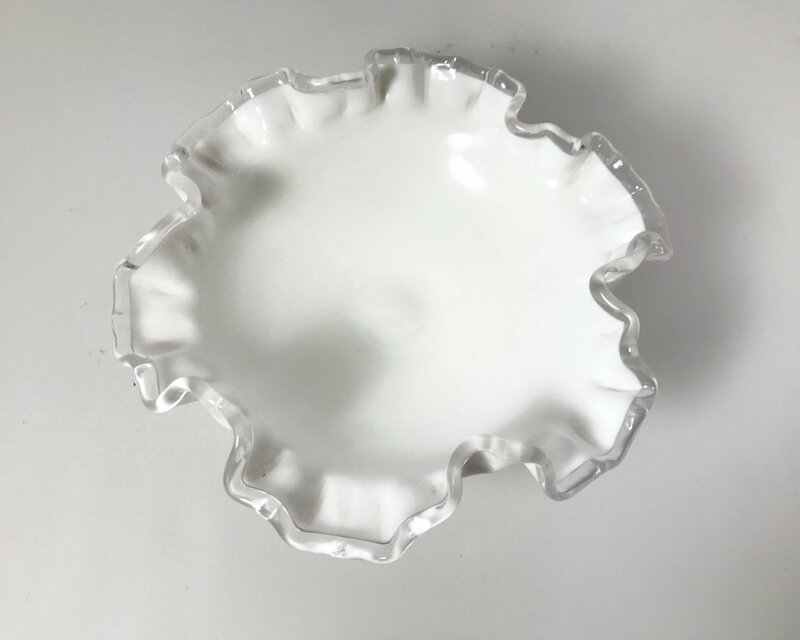 Fenton Art Glass made this lovely milk glass compote in their Silver Crest pattern, which features a ruffled rim edged in crystal clear glass, making a very elegant appearance for this pristine white glass. 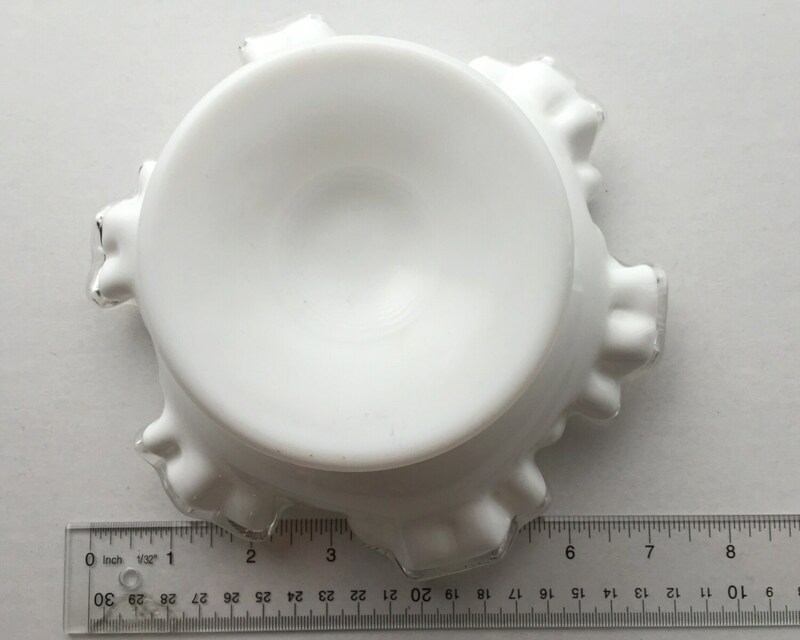 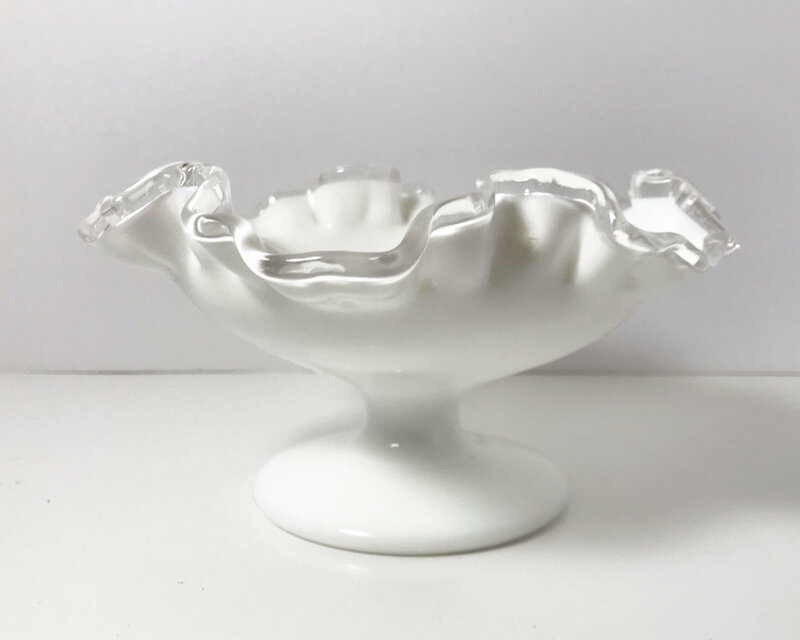 Perfect little footed candy bowl, or ideal vintage wedding decor. 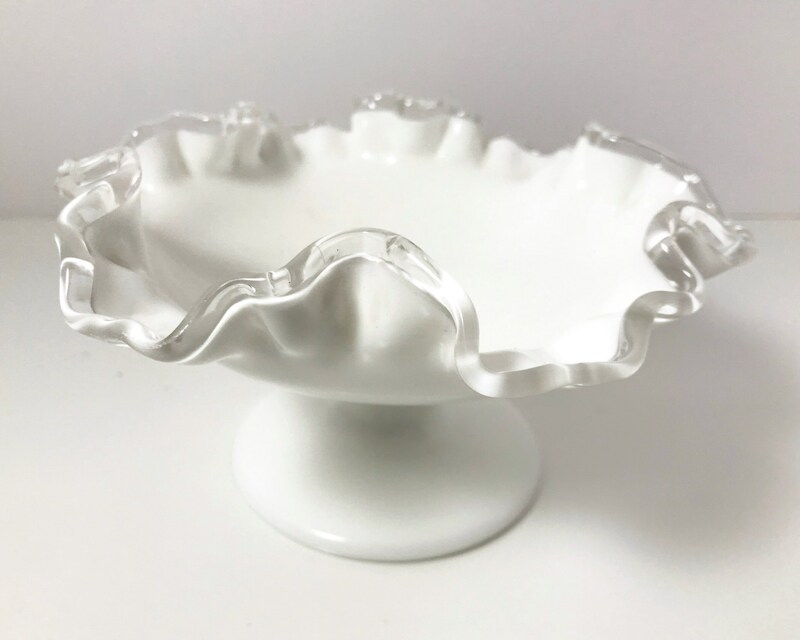 This piece is unmarked, typical of Fenton Silvercrest made prior to 1970. 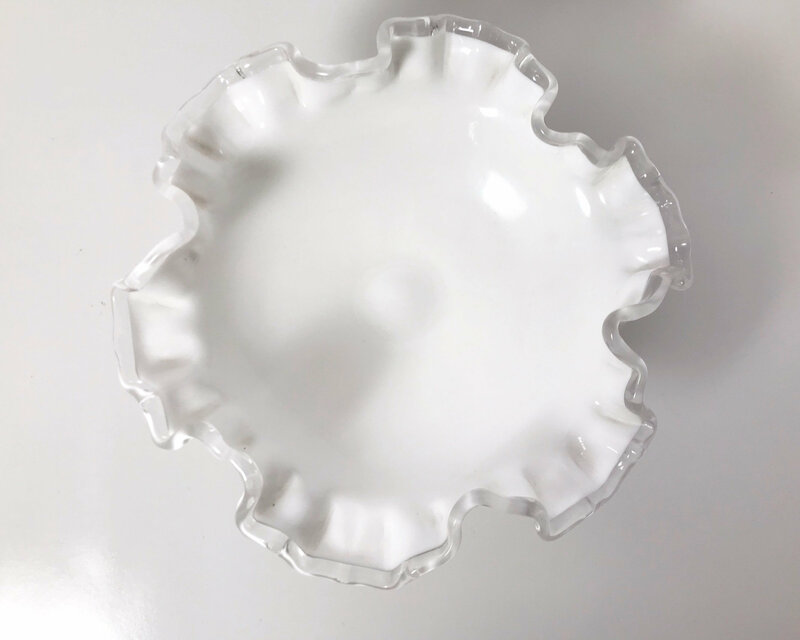 CONDITION: Excellent with no chips, nicks, cracks or scratches.